Thursday 6 - 9 and Friday from 5 - 8. Enable someone. Come on in, bring your projects and sit awhile. Enjoy the company of good people and a friendly smile. Join us on the 2nd and 4th Mondays 6 - 9 for open spinning. We meet on the 3rd Monday for open weaving and open felting from 6 - 8. Nordonia Hills Chamber of Commerce 2016 Small Business of the Year! Macedonia Business of the Month for September 2016! I have been knitting and crocheting for as long as I can remember. My grandmother was a big influence on my love of crafts. My mom says it skipped a generation and landed on me. I have always been able to pick up a new technique with little or no difficulty. 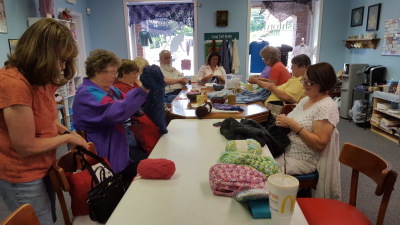 I love to help others with their projects and have taught several people to knit and crochet. I also dabble in bobbin lace and have a passion for knitted laces. I have started my Christmas knitting and crochet for 2019. The sweater below was from last year. Have you started yours? 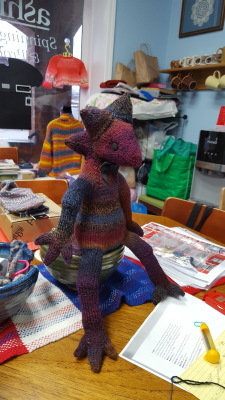 To create an environment where knitting, crocheting and other related arts can be developed. 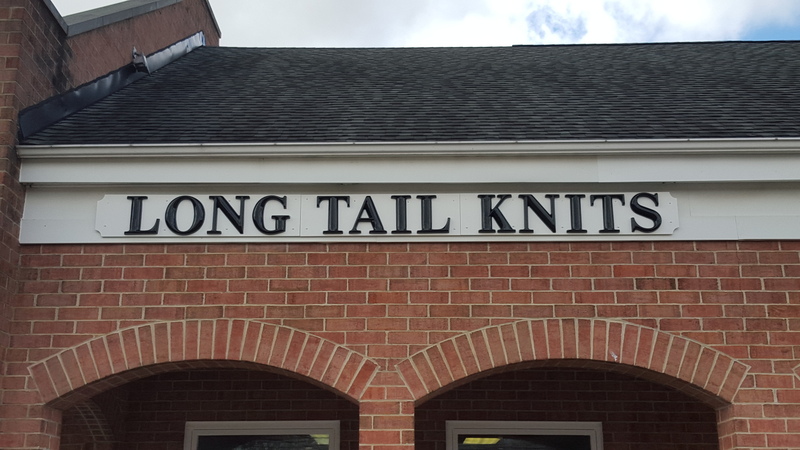 nurtured and appreciated in the fiber arts community by providing materials, skills and confidence to our customers so they can attain their individual personal goals.